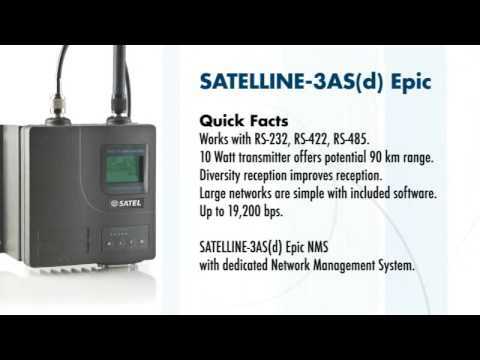 SATELLINE-EASy Pro is an IP67 classified UHF radio modem with a high power (25 or 35W) transmitter, wide 70 MHz tuning range (403…473 MHz) in one hardware and selectable channel spacing. It is particularly well suited for outdoor use (land surveying, for instance) under varying weather conditions. Due to the high transmitting power, connection distances of up to 80 kilometres can be covered. 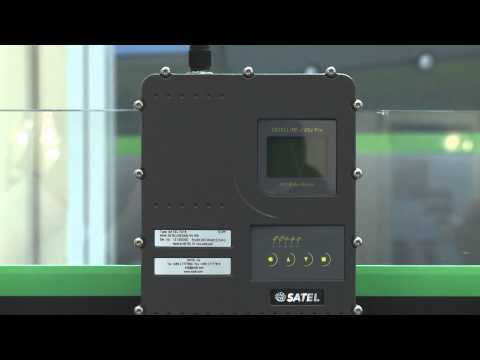 According to the IP67 standard, the casing and connectors of the SATELLINE-EASy Pro are waterproof and secured against dust. The radio modem is equipped with a Liquid Crystal Display (LCD), used to indicate the current operating status (frequency, channel number, power level, voltage level, field strength), as well as for changing the setups of the radio modem. LED indicators show the status of the interface signals.